The Lyric T5 lacks motion sensors and fancy algorithms, and it doesn’t work with some HVAC components, but you might decide its price tag makes up for it. Honeywell’s Lyric T5 Wi-Fi Thermostat is the company’s budget-priced alternative to its higher-end Lyric Round. With a price tag that’s just $50 lower than the Round, however, some will find the T5 more appealing because of its style than its price tag. The T5 is square with a sleek black finish and a simple, but effective touchscreen interface. It’s a high-tech look that doesn't go over the top. 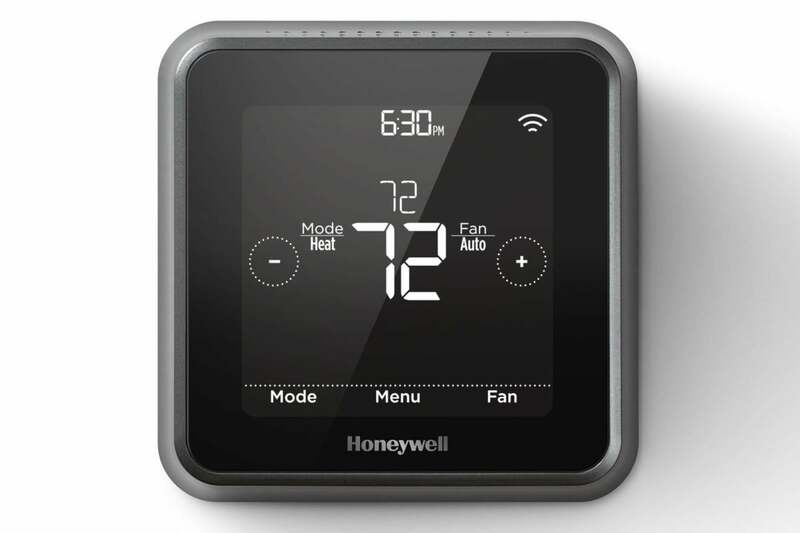 Given that the T5 is officially Honeywell’s “budget” thermostat, it works a little differently than the Round, which is directly competing with the Nest. The T5 essentially works one of two ways after you tell it your preferred temperature ranges. You can use it as a traditional thermostat, where you schedule your temperature needs via the app. This includes options for setting up a day-by-day heating/cooling schedule, a weekday/weekend schedule, or a whole week schedule. There are only four time slots per day—wake, home, away, and sleep—compared to the Lyric Round’s six. The square form factor might not seem hip, but it's probably a better design for a touchscreen. Geofencing is the only other method you can use. This thermostat makes heavy use of a connected phones’ geolocation abilities to go into energy-saving modes when the app decides no one is home. When geofencing is active, the thermostat automatically sets itself to away mode, instead of relying on a set schedule. The Lyric T5 is customizable enough to meet the needs of anyone who doesn’t have overly complex needs for their heating and cooling system. This is a Wi-Fi and app-connected thermostat, you can change settings and target temperatures on the fly whether you’re home or away. Unlike the Lyric Round, the Lyric T5 doesn’t take into account both the indoor and outdoor temperature (or humidity) to help fine-tune its comfort settings. It’s also not equipped with occupancy sensors, and it doesn’t use any algorithms to automatically adjust your home’s temperature base like the Lyric Round or the Nest Learning Thermostat can. The Honeywell Lyric T5 is essentially the same as the app that comes with the Lyric Round. On the plus side, the T5 can be set to automatically determine if the HVAC system should be in heating or cooling mode, so you don’t need to switch modes manually. It also supports Smart alerts that send text reminders about things like when your HVAC system’s air filter needs to be replaced and if temperatures inside your home hit extremes. The Lyric T5 is compatible with far fewer smart-home devices than the Lyric Round. It can work with the Amazon Echo, Google Home, IFTTT, Stringify, and Apple’s HomeKit ecosystem, but not with the Wink or Samsung SmartThings hub. 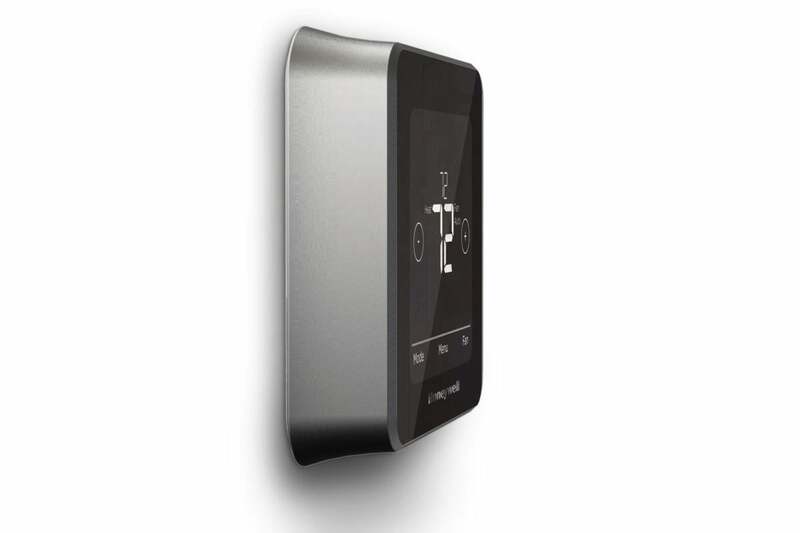 The Lyric T5 isn’t as technically advanced as its more-expensive competitors—including its Lyric Round sibling—but if you don’t really need the more advanced features that thermostats like those offer, the Lyric T5 is a versatile and stylish choice. The Lyric mobile app and overall geofencing functionality have improved steadily over the last couple years, making this a solid and reliable choice from Honeywell. This article was updated on August 7, 2017 to reflect that Honeywell has added support for Google Home.